Vivid dreams are dream sensations that feel as though they are real led by several causes. Many techniques including taking supplements may control it. Vivid dreams will make you feel real or as though you are immersed in the dream environment, which can be led by a number of causes. Practicing lucid dreaming techniques can help you learn to control vivid dreaming, making them more pleasant and entertaining for the dreamer. 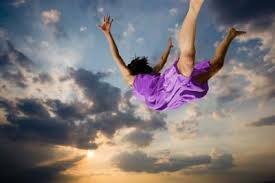 Situations that have a high psychological impact on a person can increase your chances of increased vivid dreaming. This is your body’s way of helping to manage the stress and intense feelings. Big events such as changing jobs, moving, getting pregnant, getting married or losing a loved one will frequently cause vivid dreaming. If you are prone to dream clearly, think about events in your life that could be triggering these effects. Eating spicy foods has been linked to patients developing nightmares. Eating pizza or Stilton cheeses before bed has also been shown to cause people to experience dreams that are very erratic or strange. Taking certain supplements has also been found to increase dream activity. For example, vitamin B6 has been shown to increase dream activity in those using this supplement regularly. These foods can lead to vivid dreaming, especially if paired with other vivid dreaming techniques. Having low blood pressure before you go to bed can cause vivid dreaming. As the nervous system notes that your blood sugar is low, it will produce adrenaline to help balance your system. High levels of adrenaline in your system will be expressed through your dreams. If you have been experiencing excessive or vivid dreams that are undesirable, try eating a light, high protein snack before bed. Do not eat foods that are hard to digest as this can lead to other health issues. Certain medications list vivid dreaming as a side effect. This is a common effect of using anti-depressants. Herbs such as chamomile and valerian are often used to increase sleep, but they can also increase your chances of experiencing vivid dreaming. Some herbs such as calea zacatechichi have been used in the ritual practice of vivid dreaming in many cultures. Taking a combination of medications and supplements may also increase your chances of developing lucid dreaming effects. Mediation has been known to help individuals become more aware of their surroundings. This can increase your ability to realize you are in a dream state so that you can begin to control your dream environment. Meditation has also been shown to help people remember their dreams more effectively, making it easier to analyze dream themes and elements. Some mind training techniques have also been shown to be effective in causing a lucid dreaming state. Telling yourself that you are going to have a vivid dream before you go to bed can cause you to experience this phenomenon. Altering your sleep cycle can often help you increase or decrease your vivid dreaming experiences as necessary. Experimenting with falling asleep and waking up at different times as well as getting different amounts of sleep at night can help you get the dreaming experience that is right for you. It is important to remember that any techniques you attempt to use to cause vivid dreaming must be used consistently. Your body will need to get used to the effects before it will have a drastic effect on your psychological state. Every person’s brain chemistry is different and will react to different stimuli. Work with a variety of techniques to find the one that works best for you. Do not continue to use any techniques that are causing you physical distress or may contribute to other health concerns in your life.